Pocket letter made for the Golden Thread event. My partner's accent colour is "purple" (not a colour I usually use) but she also likes turquoise and pink. 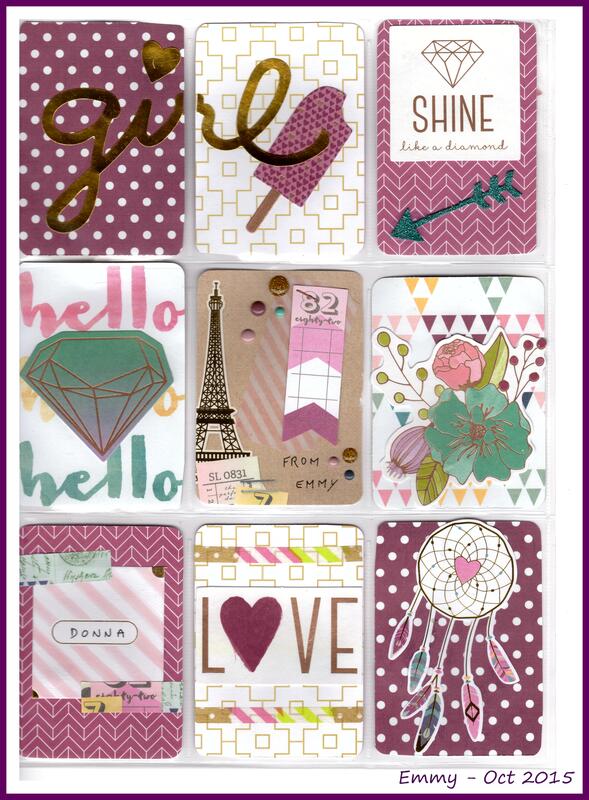 Washi tape (pocket 7) and enamel dots : Simple Stories "So Fancy"
Square card (pocket 7) : Heidi Swapp "Hello beautiful"